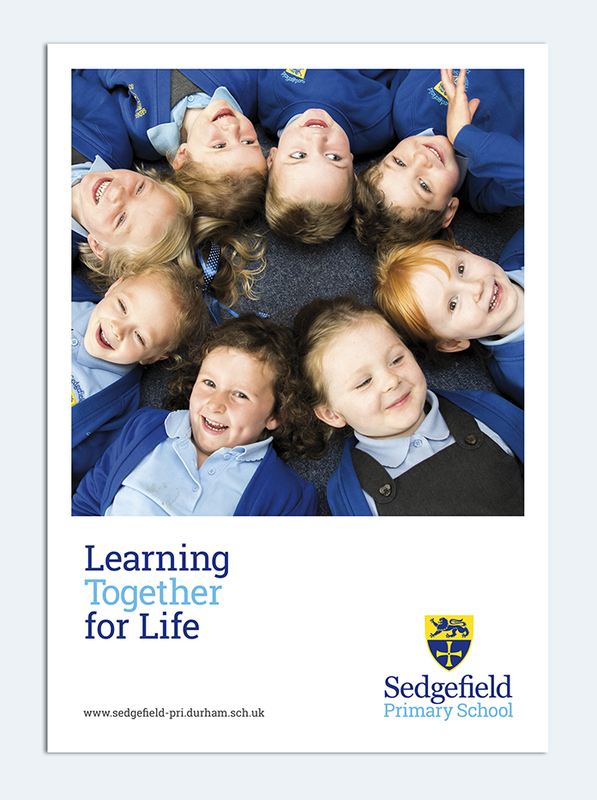 Share the post "Sedgefield Primary School"
One of my former schools, Sedgefield Primary, required designs for a new school brochure which would be circulated amongst parents of prospective new pupils. The requirements for the brochure were that the design needed to be informative, interesting, vibrant and welcoming. 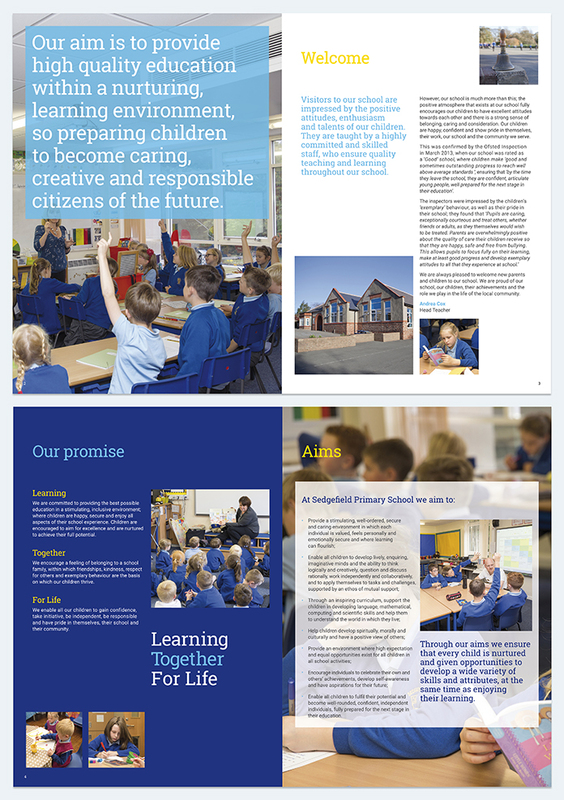 The project had quite tight time-scales as it needed to be designed, printed and delivered to the County Durham school within a 10 day period. 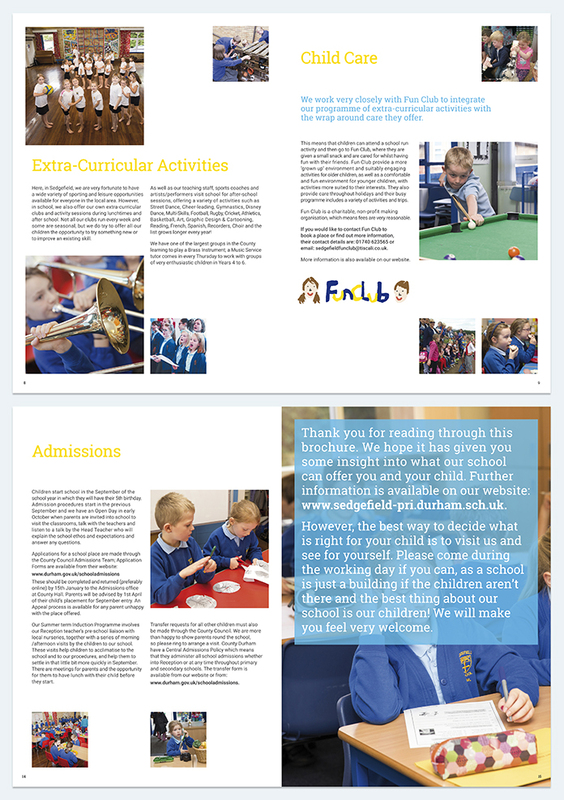 The A4 brochure was designed and printed just in time for their school Open Day and was received favourably by both the school and parents alike.